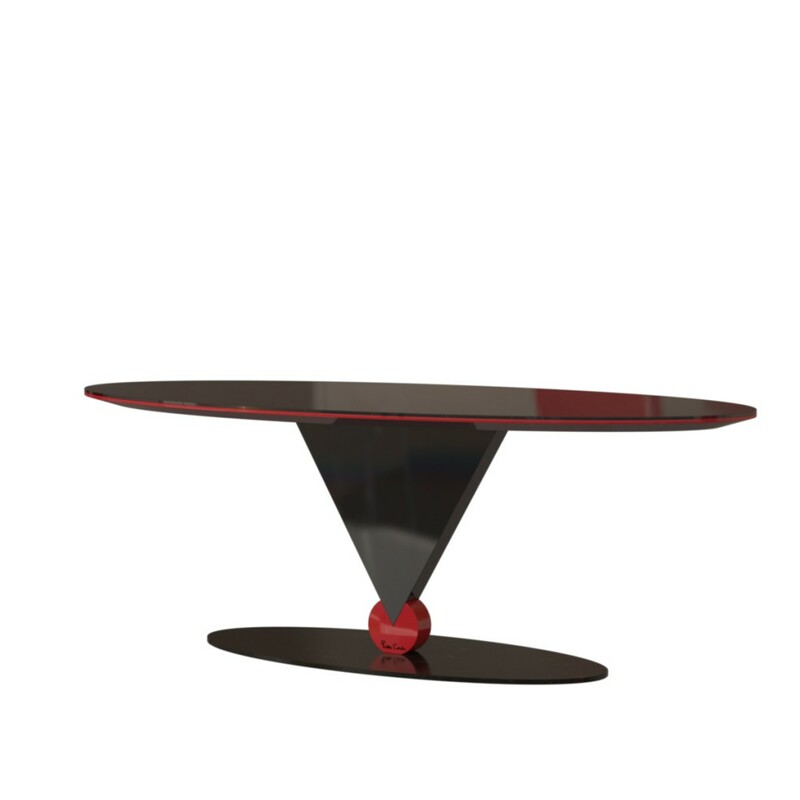 Équilibre owes its name to the seeming instability of the support structure – an enormous cone appears poised to cleave a small red disc that, in fact, supports the entire table, as well as the guests who lean on it. Immersed in black surroundings, this extremely strong element defies all the laws of nature. A black mirrored surface rests upon the wood of the lower of the two superimposed planes. With its elegant lacquered moulding, it creates a common thread that encircles all of creation like a blade of fire. The central lacquered steel structure is paired with a scratch-resistant glass-ceramic table top and a black Marquina marble base. These materials further enhance the work, which is one of the most sophisticated pieces in the collection. See the full table’s series gallery.